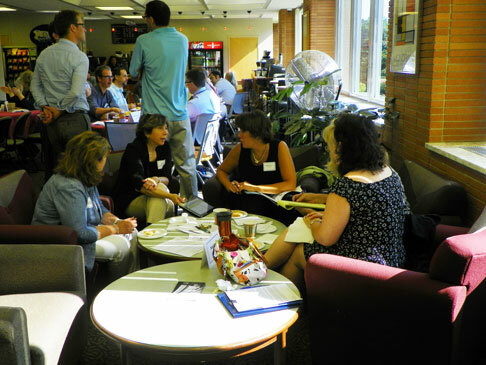 Gabriele Bauer, PhD, and her assistant, Ramona Kuczewski, of the Villanova Institute for Teaching and Learning (VITAL) planned this year’s New Faculty Orientation program, part of which was held in Falvey’s first-floor study lounge on August 20. 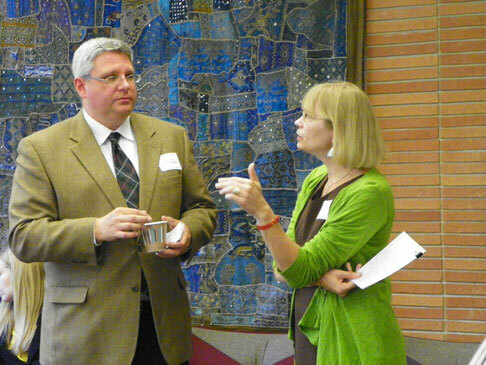 Jutta Seibert, team leader – Academic Integration, worked with Dr. Bauer and Kuczewski to introduce new faculty to Falvey’s librarians and services. Darren Poley, interim university librarian and library director, welcomed over fifty new faculty, introduced librarians and staff, and explained some of the services offered by the Library. Faculty enjoyed a continental breakfast while conversing with the liaison librarians who specialize in their academic disciplines. Gina Duffy, Library Events and Programs coordinator, and her committee organized seating and the continental breakfast. Barbara Quintiliano talks with the nursing faculty. 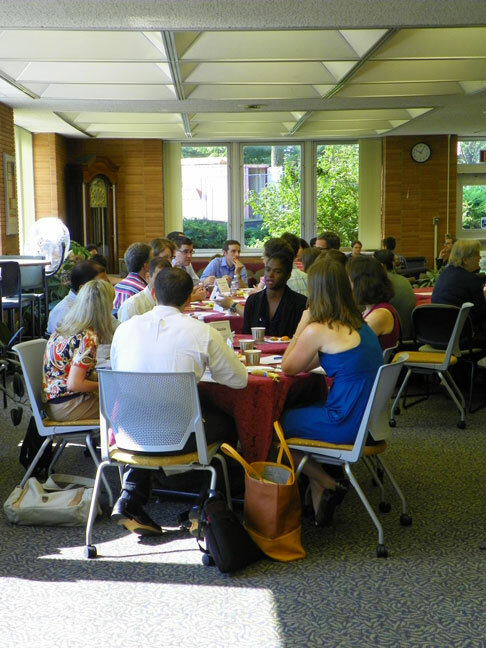 New faculty and Falvey staff enjoy breakfast and conversation. Alice Bampton is an digital image specialist and senior writer on the Communication and Service Promotion team.